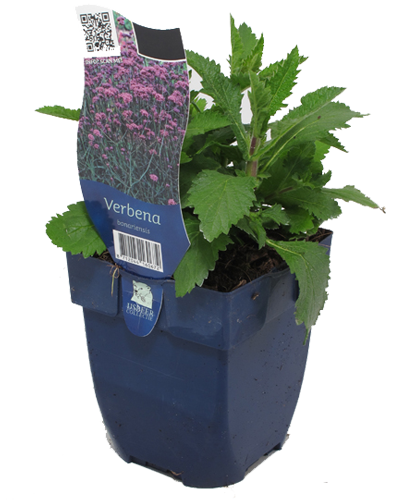 The perennial plants of Hello Garden can be easily recognized in the garden centre. They all are packed in a blue square pot with a diameter of 11 cm. Large pots, that provide a good start to your plant. In the garden centre, the Hello Garden plants are grouped per colour or ambiance group (f.i. the garden with a scent) on a table. 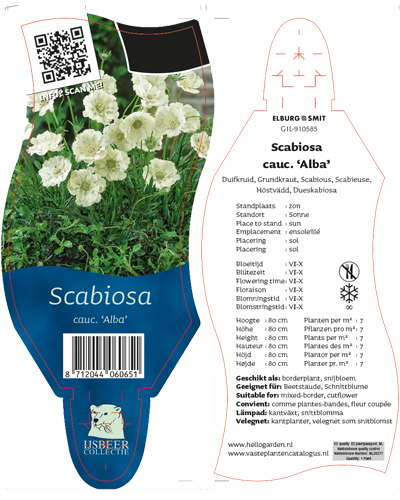 The label provides information regarding location, blossoming period, height and the number of plants you need per square metre. When you plant more types of plants, you will have flowers in your garden all year round; even during winter time. You can choose to put all the plants in a border with one or two colours or you can make a colourful mix out of it.